When midnight struck on February 25th all the way through the 3pm eastern deadline and into the 4pm hour where late deals were finalized, a total of 23 deals were commenced between NHL front offices from around the league. The top eight pieces on the TSN trade bait list were traded, including Mark Stone to Las Vegas, Wayne Simmonds to Nashville and Kevin Hayes to Winnipeg. A total of 35 players and 17 draft picks were exchanged on the second busiest day of the season behind July 1. While there was undoubtedly an abundance of trades that fell through and didn't catch wind of beat reporters, there was one notable trade involving the Calgary Flames that was reportedly a "done deal." Zucker would've been a welcome addition to the Flames. A crafty scoring winger who can play both sides, the 27-year-old has potted 31 points (15 goals, 16 assists) in 62 games this season after a breakout campaign last year where he notched 64 points (33 goals, 31 assists) in a full 82-game campaign. As per Bob McKenzie on TradeCentre, the Flames also reportedly inquired on Mark Stone. The team failed to add to their forward group but did add depth defenceman Oscar Fatenberg to beef up their backend. Stone was a hot commodity leading up to the deadline, and had numerous suitors chasing after his services. The Florida Panthers were reportedly one of those teams, but simply couldn't match the Golden Knights' offer. #FlaPanthers GM Dale Tallon said they were in on Mark Stone and made what he said was a high offer. ‘we gave it our best shot, (Ottawa) just preferred the other deal better.’ Stone reportedly signing long term in Vegas, Panthers willing to do same. 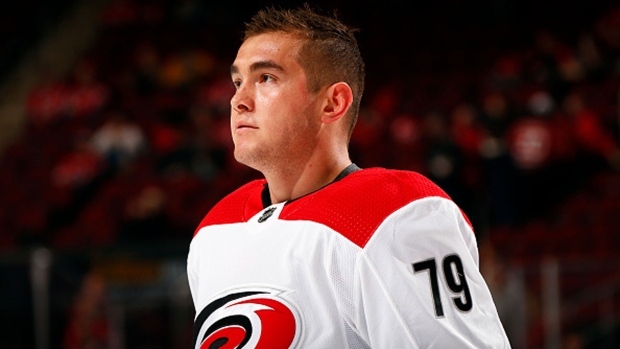 According to Darren Dreger, Toronto Maple Leafs manager Kyle Dubas made a last-minute phone call to the Carolina Hurricanes regarding rental forward Michael Ferland. Ferland's physiciality would've slotted in nicely on a team that isn't known for their pubnacity. With the high demands for Ferland, who's tallied 33 points (16 goals and 17 assists) in 53 games and the Hurricanes fighting tooth and nail to lock down a playoff spot, a trade was obviously never agreed upon. Lastly, TSN's Ryan Rishaug followed up on a report that the Oilers looked at adding help to their forward group on the right side in the form of Connor Brown, which could've reunited the former Erie Otter with his old junior linemate, Connor McDavid. The reported piece going the other way was right-shot defenceman Matthew Benning, who would've given the Leafs another option on their blueline. As reported by @NHLbyMatty sounds like Oilers took a run at getting Connor Brown from Leafs but couldn’t make a deal work. My guess, Benning would have been the player they were pitching in return. We'll never know how the deals came up short, but it's interesting to imagine how these trades would've shaped up had they come to fruition.